Three Doctor Who releases, more River Song news, an interview about Blake's 7 and some sneaky special offers? Just another exciting week in the world of Big Finish! We’re going back to the beginning! The fourth episode of The Diary of River Song Series Six sees River encountering the original TARDIS team. Jamie Glover plays Ian Chesterton, Jemma Powell plays Barbara Wright, and Susan – the Doctor’s granddaughter – is played by Claudia Grant. Will River meet the first incarnation of her husband? Is Susan ready to meet her step-grandmother? Will time be changed forever? Well… spoilers! We’ll have to wait until the release of An Unearthly Woman by Matt Fitton in August 2019 to find out! 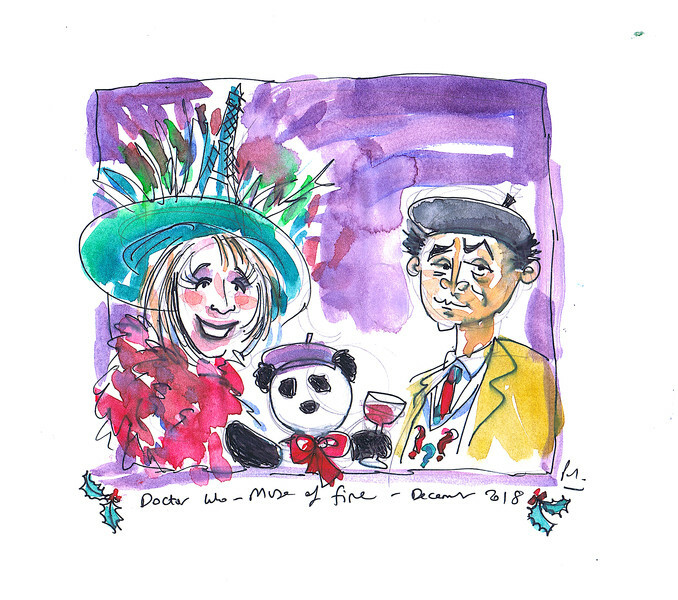 In Main Range release, Muse of Fire, the Seventh Doctor, Ace and Hex meet Iris Wildthyme and Panda in 1920s Paris – out now. Oooh la la! It's been a long time coming, but the Doctor is about to be reunited with Iris Wildthyme! They're both in 1920s Paris and everyone's flocking to Iris's salon. But wait...! What's that noise..? Thud thud thud...! It's the soft, approaching feet of a small and acerbic Art Critic Panda...! Above is a painting of both the Seventh Doctor and Iris Wildthyme by writer Paul Magrs! The Doctor arrives in present day Iceland and receives a frosty reception from Inspector Yrsa Kristjansdottir when he becomes the chief suspect in a murder enquiry. But the Doctor knows that the real killer is of extraterrestrial origin. Joining forces with Yrsa, the Doctor goes in pursuit of a ruthless alien that is hunting humans for sport. Yrsa unearths a dark conspiracy which reaches back into her own past. Determined to expose the truth and prevent further deaths, the Doctor and Yrsa soon find themselves running for their lives, prey on the hunting ground. If you could go back and change your fate – would you? The final adventure in series five of Doctor Who – The Early Adventures was released on Wednesday. Doctor Who – The Crash of the UK-201 is out now. You can’t change the past, every time traveller knows that. What’s done is done and cannot be unwritten. But what if it isn’t the past any more? What if it’s now the present? The spaceship called the UK-201 was intended to fly to the Earth colony of Astra. But it never made it. Crashing on the planet Dido, a tragic chain of events was set in motion leading to the death of almost all of its crew and a massacre of the indigenous population. The only survivor of these events was a young girl called Vicki. Rescued by the time traveller known as the Doctor, she’s been travelling in his ship for some time. So when she suddenly wakes up in her cabin on the UK-201 again, without her friends, a few days before the accident, she’s faced with a stark choice... Can she stop the crash from happening? And if she can, should she? 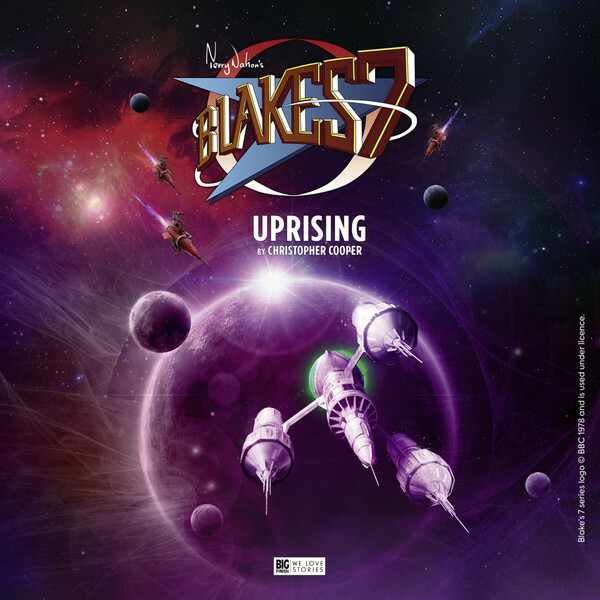 Brand new novel, Blake’s 7: Uprising will be released in January 2019. In an exclusive Big Finish interview released on Saturday we chatted to writer, Christopher Cooper, who told us about being a sci-fi head and why he thinks Gan is such a great character. Blake persuades the Liberator crew to join an uprising on the planet Istria, a vital supplier of food to the Federation. He hopes to hit the Federation where it hurts – and send a powerful message of unity to rebel groups everywhere. But with the odds stacking up against him, and Space Commander Travis in hot pursuit, even Blake starts to wonder who he can trust. Is he right to put so much faith in the Istrian rebels and their mysterious hired mercenary? It's clear that Jade is a deadly killer with a secret past, but what is her hidden agenda – and how has Gan fallen so completely under her spell? 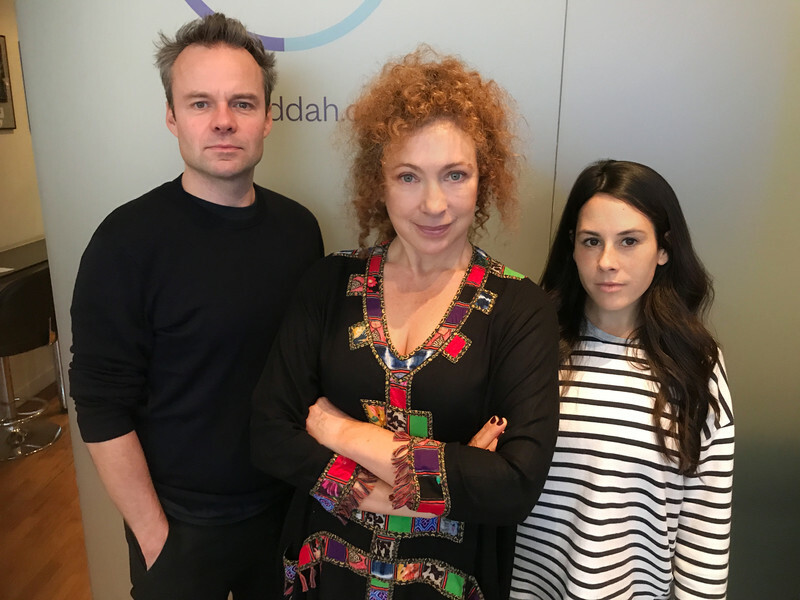 And for any last minutes bargain hunters, head to page https://www.bigfinish.com/offers/v/regenerate and use access code DOCTOR13 to get special offers on adventures from the era of the Tenth and the Eleventh Doctors. These special offers will last until 23:59 UK time Sunday 16th December, so don't miss out! Plus, we have offers from the world of Survivors.To celebrate the upcoming new series of Survivors, this weekend (until 23:59 UK time, Monday 17th December), the first four series of Survivors and the Survivors audiobook on CD are now priced at 50% off, and Series Five, Six and Seven are available at their pre-order prices. Head to page https://www.bigfinish.com/offers/v/survive and use access code PETERGRANT to access these special offers. And for a real bargain, why not listen to the audiobook of the Survivors novel, available on download at just £2.99. And that’s the news this week. Keep in the know by following us on Facebook, Twitter and Instagram.